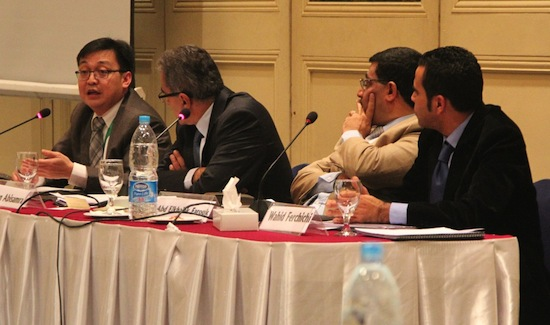 The conference "Transitional Justice and the MENA Region: Challenges and Possibilities" concluded with a summary of topics discussed during the two days by Ragab Saad, researcher of the Cairo Institute for Human Rights. Saad listed the discussed challenges facing Middle East and North Africa countries going through different stages of transition from dictatorships and repression. 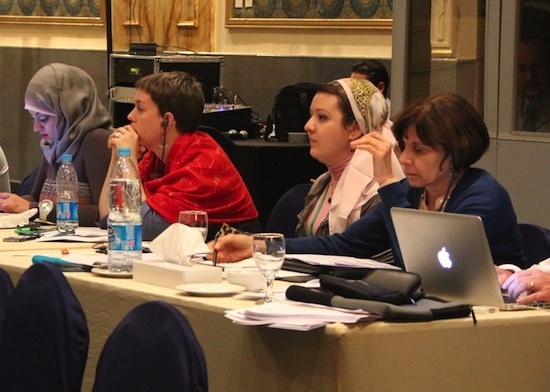 The last session of the conference gave the floor to human rights activists from various countries in the Middle East and North Africa region to describe the severity of the human rights violations in their countries, and voice their demands to the international community and the Arabic League. Activists from Syria, Yemen, Bahrain, and Sudan reported on their countries’ situations and needs. Syrian political and human rights activist Hazem Nahar briefed the participants on the situation in his country and expressed concern over escalating human rights violations. The penultimate session of the conference focused on the issue of complementarity and strengthening the rule of law in countries in the Middle East and North Africa undergoing transition, as well as the impact of the International Criminal Court (ICC). Moderator Salah Nasraoui, Iraqi journalist and activist, opened the session with a review of the Iraqi experience -- particularly the failures -- with transitional justice, and how the lessons learned might apply to other countries in the region. The conference’s seventh session focused on tackling corruption as part of addressing past violations. UNDP’s regional Center advisor for Civil Society and Social Policies Marwan Abisamra moderated the session and initiated the discussion by highlighting the selective distribution of revenues among the people of the Arab world countries. Abisamra added that alongside institutional reform, corruption is a pivotal issue in the region. “How to fight corruption?” asked Abisamra. 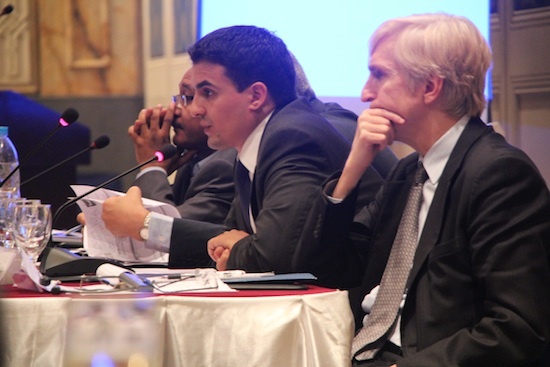 Read more about Fighting Corruption: What Role for Transitional Justice Methods? The sixth panel of the conference continued the discussion on institutional reform, focusing on the security sector as one of the backbones of justice system and its relationship with civil society. Panelists focused on the challenges to this process in Tunisia and Egypt and made recommendations on how to utilize security sector reform to prevent the recurrence of human rights abuses. In the first session of the second day, Ziad Abdel Tawab, deputy director of the Cairo Institute for Human Rights, described the impact of the Mubarak trial in Egypt and the increasing pressure the military rulers are putting on human rights activists through military courts. Some 12000 civilians have been prosecuted by the military courts in legally flawed proceedings, in which the rights of defendants are not ensured. “The promise of Mubarak trial was a carrot, but the military is using the stick of its courts to crack down on the activists,” asserted Tawab. Read more about Trials in Egypt and Tunisia: Can Transitional Justice Work in Unfinished Revolutions? 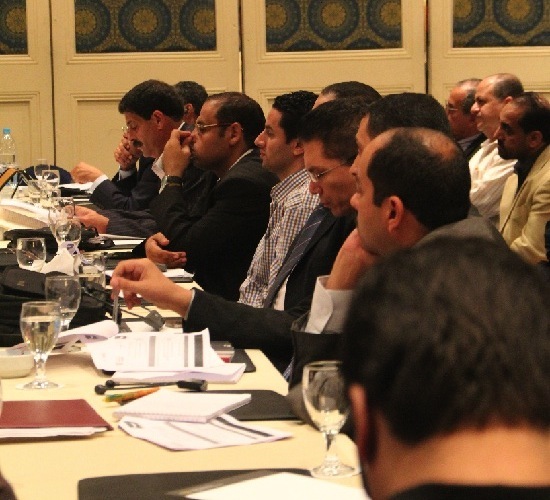 The fourth session of the conference identified the reform of security institutions as currently a pressing need in Egypt. Moderator Amr Salah, member of the executive bureau of the Egypt Youth Coalition, opened the session which focused on vetting and institutional reform as a means of preventing future violations, providing comparative examples from Bosnia and Iraq. Magdy Andel Hameed devoted the introduction to drawing attention to the ongoing human rights abuses taking place against activists by the military authorities in Egypt. He posed several questions to the panelists which sought to define the crimes of the past, the time periods that reparations can be applied to, and transitional justice measures to deal with crimes committed against women. 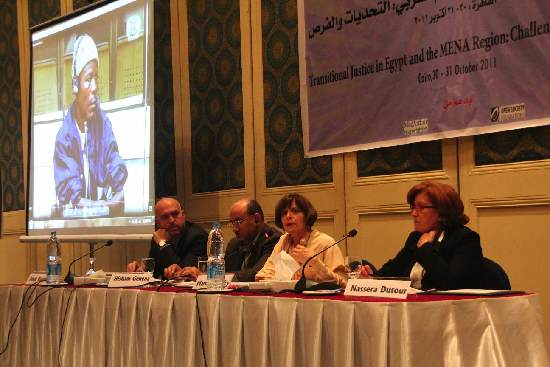 Read more about Reparations and Gender Justice: Is Egypt Ready for Transitional Justice? The second session, "Addressing Past Violations: Truth, Justice and Accountability," focused on providing comparative experiences from Americas, Europe, South Africa, and the lessons learned from those contexts to be considered in the transitions occurring in the Middle East. The first session of the conference presented testimonies of victims of demonstrations-related violence in Egypt and Tunisia. Ziad Abdel Tawab, deputy director of CIHRS, introduced the session.by explaining that transitional justice must address two concerns: the violations of civil and international laws; and the spiritual pains incurred by those both directly and indirectly harmed by the events which occurred before, during, and after the revolutions in Egypt, Tunisia, and other countries in the region. "We are confident democracy will not take place unless the experiences of the families of the victims are taken into account," he concluded.